Whether you have just entered the industry or have been employed in it for some time waiting staff are persistently caught in a whirlwind, in one of the busiest, hands on professions whose primary focus is on the customer. Working effectively and efficiently is the core purpose for all waiting staff, whereby the customer is left satisfied. 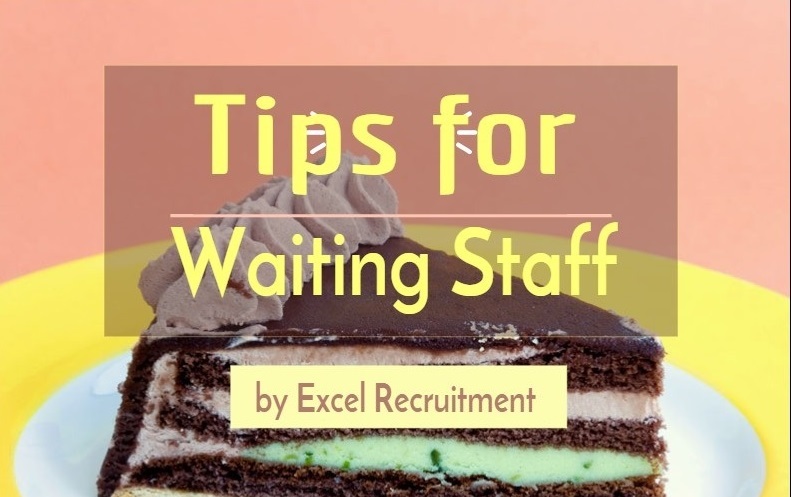 A massive burden falls on waiting staff and they are constantly thrown queries and questions that which aren’t always relatable to their job title. If a customer is left dissatisfied at the presentation of their food, its taste, the restaurant environment or waiting time, waiting staff are the first people who have to deal with these concerns. Thus the tenets of their job stretch far beyond simple serving food and cleaning plates. Here we have compiled useful tips for those employed in the industry. If your job requires a uniform make sure it is always in good condition. This meaning that it is clean, neat and ironed. If you work full time you are obliged to be provided with a certain allocated uniform allowance so if your employer is slow to give you them, push them for it as ultimately it will serve them better when you are presented well. Naturally, working in a hospitality sector is a fast paced environment and things can get heated. Check your appearance periodically to make sure you are presentable or that you haven’t picked up unnoticed stains. Try not smoke directly before a shift or if you do cover the scent well as it is a noticeable and obnoxious smell. Having an adept knowledge of the menu and familiarising yourself with all the dishes will save you time when taking orders or dealing with queries regarding ingredients or specific dietary requirements. Study the menu if you feel you could acquaint yourself better as it will mean you will avoid mistakes and slow orders. Become familiar with every option for each order. If a customer orders a sandwich be aware of which breads are available, which sides come with it and if substitutes or additions can be made. Know which dishes contain meat, dairy and common allergens like peanuts. Similarly be able to recommend an alternative for customers. Be able to differentiate between whether a menu item is actually suitable for a customer. For example something that is vegetarian may not be vegan. Similarly a food that is presented as vegetarian may actually contain beef stock in the cooking process. Mention this to the customer as they will appreciate your honesty in looking out for their needs. Familiarise yourself with daily specials before each shift. Work will become easier if you can have the ability to multi task. Take empty dishes from tables whenever you’re on your way to the kitchen. Fill up a tray when several tables want condiments, drinks, or similar items instead of carrying them out one by one. These are things customers greatly appreciate as it cuts down waiting time and gives them a more efficient service experience. If a customer requests more water, bring a jug and check on nearby customers, topping them up if needs be. They will be impressed at your ability to foresee their request without it being addressed. If you have no customers to take care of, clean! There’s always work to be done in a restaurant. Show your employer that you’re able to take initiative and work hard. If your current tables do not require attention, look at the other customers as well. Some of them may be trying to flag down a waitress for a small request that you can fill without stepping on their toes.